The sport of competitive kart racing is considered by many to be the most fundamental and exciting branch of motorsports available worldwide. Performance karts are lightweight, agile, and provide the thrill of racing competition at an accessible level for thousands of participants across the globe each year. 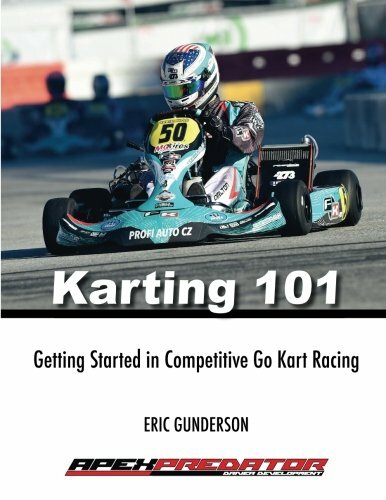 Written by national and regional karting champion Eric Gunderson, “Karting 101” serves to educate the complete new-comer about the sport, and provides them the information necessary to begin their first foray into karting. From the basics of kart chassis dynamics to karting safety gear, “Karting 101” covers karting in a comprehensive yet accessible format.